One day in Iquitos? Looking for an Amazon tour but you just don’t have that much time? Looking out for pink dolphins and swimming in the Amazon river are experiences not to be missed if you are in Iquitos. 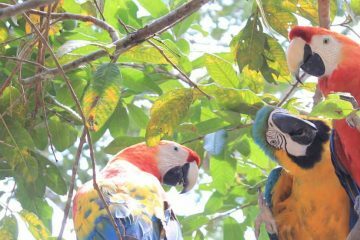 Get a taste of the Amazon Jungle life with us! WEAR Comfortable athletic clothing, hiking boots or shoes, hat, light jacket, sunglasses, and sunscreen. 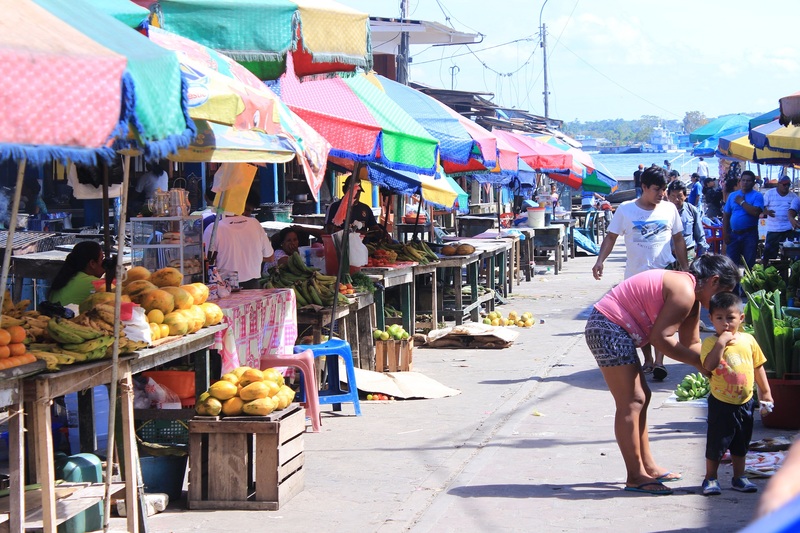 Morning pickup from your accommodation or the airport in private car or mini-van (depending on group size) to arrive at the port town of Nanay-Bellavista. 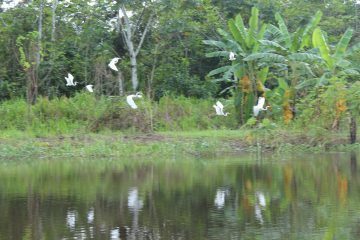 In our way there you will get a brief description of Iquitos city and some of its main attractions. Departure by motorboat from Nanay port. We will be navigating in the Nanay river for approximately 20 minutes to arrive at Padre Cocha town, a community of farmers and fisherman. From here we will go to Butterfly Farm. If the river is low we will take a motocar, if the river is high (flood season) then we will go on a boat. Visit the Pilpintuwasi Butterfly Farm where you are gonna see lots of different butterfly species and learn about their metamorphosis process. After this, we will navigate downriver for approximately 20 minutes. We will make a stop in the conjunction of the rivers: Where the Amazon river meets the Nanay river. You can see in this spot how both rivers do not mix uniformly, giving it a look like “milk and coffee”. Continue down the river for approximately 1 hour enjoying the beautiful landscapes and the possibility to see river dolphins (gray and pink), herons, turtles and many other species along with spectacular flora. Visit to share with some members of one of the oldest indigenous groups in the Amazon, the Yahua tribe. You will get to know some of their songs and dances, practice your aim with the “cerbatana” (blow gun) and get the chance to contribute to their preservation by buying their hand-made handicrafts if you decide to do so. Continue navigation by boat to reach the rustic-style lodge. Self-catering lunch made with local products, including fresh fruit juice. Vegetarian options available per request. Boat expedition to the real Monkey Island (La isla de los monos) where you will get to know and play with macaws, amazonian parrots, sloths and a wide variety of monkeys: Woolly monkey (mono choro), Titi monkey (mono tocon), Spider monkey (mono araña or maquisapa), Tamarins (mono pichico), Howler monkey (mono aullador), Marmoset (mono leoncito), among others. The Monkey Island is a family owned rescue center, with all his permits up to date, dedicated to rescue, rehabilitate and release monkeys that are victims of pet trade. They have freed more than 200 monkeys since 1997. Before going back to Iquitos we set up to navigate and look for some sweetwater dolphins like the gray and pink dolphin. 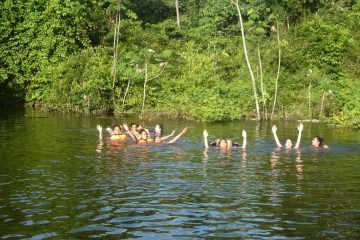 We will make a stop in the Amazon river so you can swim and enjoy the refreshing water. Depending on the weather we could see the stunning dawn in the Amazon river. A truly breathtaking scene. Return by boat to Nanay port and private transfer to your accommodation or the airport.